Marketingesp provides exhibition stand staff training workshops to exhibition organisers as well as bespoke tailored sessions for client companies. One such client is Schaeffler, a worldwide leader in bearing manufacture supplying several sectors including automotive and industrial. 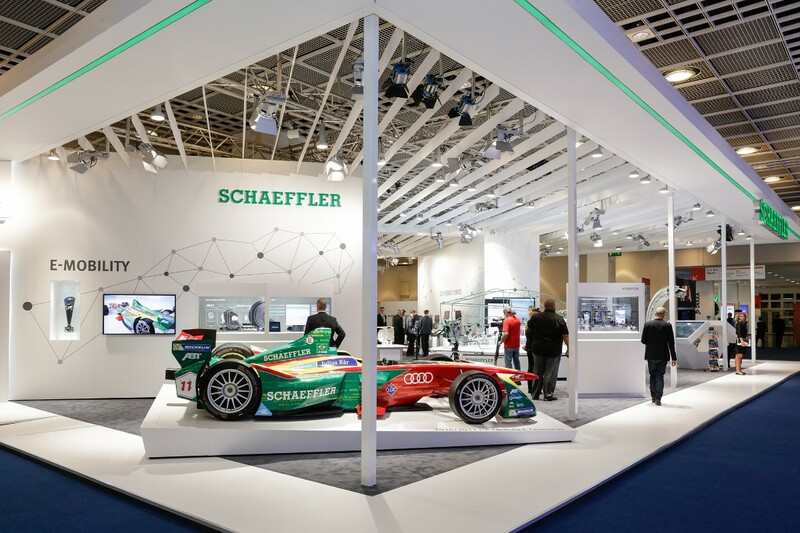 Ahead of attending a brand new launch event, Schaeffler asked Marketingesp to provide a bespoke training workshop for 12 of their exhibition stand staff team, many of whom had many years experience at exhibiting. By focusing to creating an at-show and on-stand strategy we were able to focus the team to working together with common agreed goals and objectives as well as sharing the extensive knowledge and experience within the team. The first session was really well received and such a positive impact on the team’s performance at their exhibitions that Schaeffler invited us back the following year for a further two sessions so that their entire exhibition stand staff team could experience for themselves the difference it makes when they all focus on the same objectives and work together to support an exhibiting strategy for success. On-show marketing – exhibition stand staff development workshops, objective and goal setting, promotion, exhibition stand strategy, lead management and follow up principles.